If you are looking for one of the best magicians in NY, let Joe Magic Man bring you the best of what NY has to offer. Known as one of the most entertaining magicians in the New York Tristate area, his magic show will take your event to the next level. Joe Magic Man is an experienced magician serving New York tristate area including NJ and Connecticut areas for kids’ birthday parties, school events and corporate shows. We put on the best magic shows at the best price. One of the very best magicians in the areas of NY, NJ and CT Joe Magic Man makes sure to get everyone be involved in the event! Whether it’s a corporate event; kid’s birthday parties or school event; let the Joe Magic Man’s magic come to life with new tricks and fun-filled entertainment! Joe Magic Man makes sure that all of his tricks and acts are enjoyable to all ages! For parents looking for a birthday bash for their kids’ parties or school events, be amazed by the way he performs! As an experienced and versatile magician, he could also put an audience of adults in awe with his corporate shows. All his shows have animals, which children enjoy to pet! 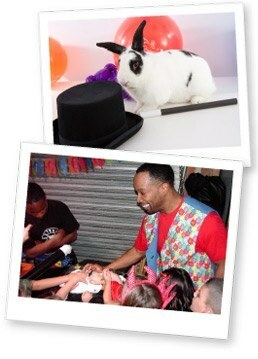 From rabbits to doves, your children would love to pet the animals involved on each of our shows. 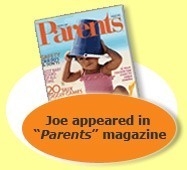 Joe Magic Man appeared in Parents Magazine. Joseph Branch is retired New York Police Officer with 3 children of his own.